In order to maximize accessibility, flexibility, and compatibility of the book, the authors have chosen CALI’s eLangdell Press to publish and distribute the sixth edition (as chapters) and this revised seventh (as a complete book) electronically with a Creative Commons license. Publishing a law textbook electronically with far fewer restrictions than most commercial books and using a somewhat new, boutique outfit such as eLangdell Press is an unconventional choice, to say the least. But the authors share the eLangdell vision of more flexible teaching materials for professors and more cost-effective books for students. Professors may now edit and remix this work to match their teaching without worry of copyright infringement. Students may now adopt this book, read it using any number of software or devices, and even print it - all for free. The book’s authors, like its publishers, believe that this new book model represents an important and long overdue step forward in the way law school books are published. All the exercises have been substantially revised for this edition. The individual exercises also are reorganized and expanded so that they follow a more standardized pattern: expository text on the topic area, work-book questions, and introduction to the related online CALI lessons. This book, and the accompanying interactive exercises known as CALI Lessons available online through the Center for Computer-Assisted Legal Instruction (CALI) at www.cali.org, are intended to provide a challenging educational experience. For each exercise, students should read the text in this book and answer the questions before accessing the rest of the exercise online. Additionally, Exercise One: Holding and Dicta in the Context of a Diversity Case is an excellent introduction to legal method. The first two editions of this book, by Roger Park, included Exercise One: Holding and Dicta in the Context of a Diversity Case, Exercise Two: Jurisdiction, Exercise Three: Pleading a Complaint, Exercise Four: Demurrers and Judgments on the Pleadings, Exercise Five: Motions to Dismiss and Waiver Under Rule 12, Exercise Nine: Judgment as a Matter of Law, and Exercise Ten: Evidence for Civil Procedure Students. For the last five editions of this book, Douglas McFarland has edited the above exercises and added Exercise Six: Joinder and Supplemental Jurisdiction, Exercise Seven: Discovery, Exercise Eight: Summary Judgment, and Exercise Eleven: Preclusion. Accordingly, the book has become more comprehensive, expanding from seven to eleven exercises. Of course, each new edition incorporates changes and updates in procedural law. All of the information necessary to prepare for an interactive exercise is contained in this book. Reference to additional materials may be useful, but is not necessary. Each exercise can be assigned separately. No exercise is a prerequisite for another. In fact, students will find the expository material and work-book questions in each exercise independently valuable even without completing the CALI lesson for that chapter. The CALI lessons are valuable either to provide additional understanding and self-testing of subjects discussed in class or as primary substitutes for areas not covered in depth in class. In general, the interactive, online exercises follow a non-linear branching format. They seek to present challenges and questions instead of rote learning or leading students through an error-free educational experience. Although the exercises eventually evaluate student answers, they sometimes eschew immediate feedback in favor of the development of a line of questions. The ideal is the creation of a classroom-like Socratic dialogue. 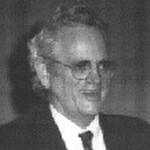 For a description of general goals and educational theory of the exercises, see Roger C. Park & Russell Burris, Computer-Aided Legal Instruction in Law: Theories, Techniques, and Trepidations, 1978 Am. B. Found. Res. J. 1. This book and accompanying exercises cannot reproduce the spontaneity and flexibility of the live classroom, but they can be a useful supplement. They require an active learning process in which students respond to questions dozens of times during each hour of instruction, and receive prompt evaluation of their answers. Another benefit of computer-aided instruction—and the phrase “computer-aided” is used loosely here and in the title of this book; the exercises are compatible with many non-computer devices such as tablets and smartphones—is its “individualized” nature. Law professors and students should not take this literally, however. Surveys administered at several law schools indicate that an overwhelming majority of students believe that the exercises are more valuable when done in pairs or threes instead of alone. Students who do the exercises with a partner are more likely to consider their responses carefully and to enjoy the experience. They also have lively discussions about what their response should be and why the computer responded as it did. As with previous editions, we continue to welcome and solicit comments from professors and students about the book and the accompanying exercises.